Would like to know where this pic was shot from please. 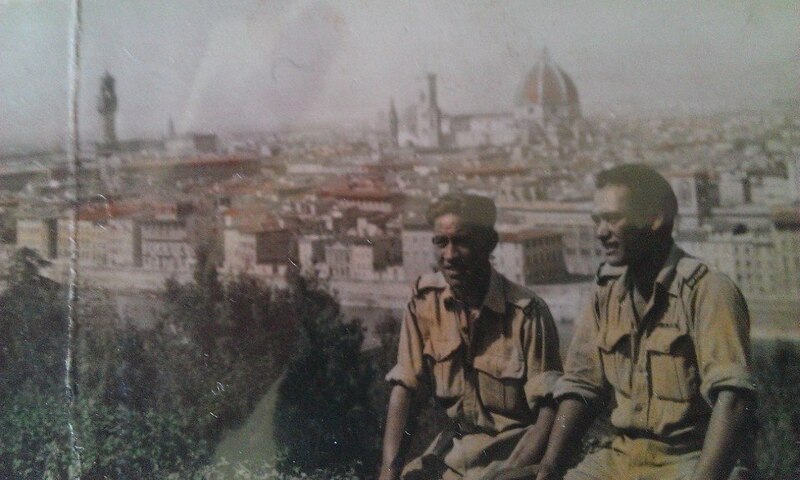 Its my dad taken during World War II 1945, in Italy. Thank You. As others have correctly identified the location, it is Florence, Firenze, taken from the basilica of San Miniato al Monte which stands atop one of the highest points in the city. 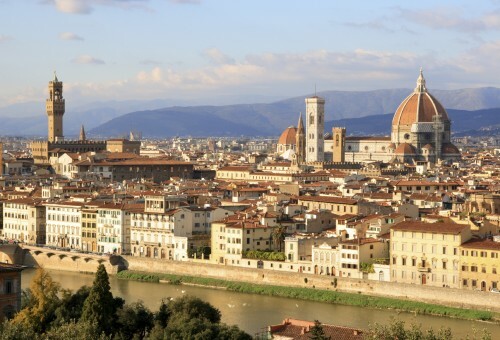 You're able to see the River Arno at the base and, soaring above the city, the Cathedral di Santa Maria del Fiore and Il Duomo to the right and, on the left, the Palazzo Vecchio, the town hall. It could possibly have been shot from Piazzale Michangelo , because I was there only few years ago and achieved very similar pic, (without your father of course). (linked webpage courtesy of Author: Lourdes Flores). Great spot for viewing the overall city. Not the answer you're looking for? Browse other questions tagged italy identify-this photography florence or ask your own question. Where were these castle pictures from WW II taken? Where is the photo for the outlook sign in page taken?